TUCSON, AZ (Tucson News Now) - The military has an multi-billion dollar impact on the economy in southern Arizona, according to a new report. 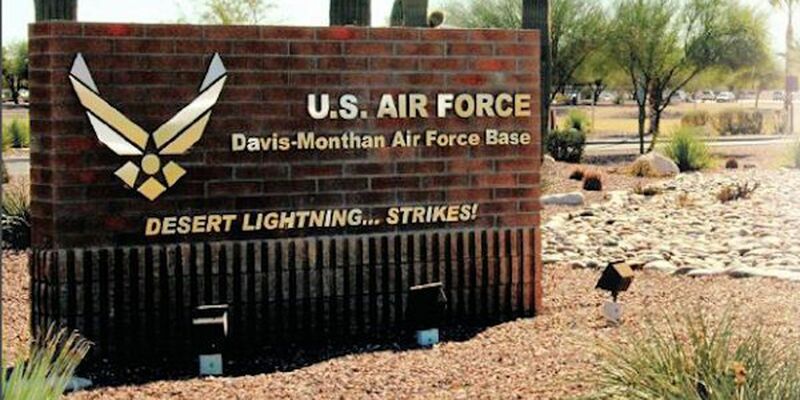 Davis-Monthan Air Force Base is the third-largest employer in Tucson, just behind the University of Arizona and Raytheon. It's no surprise the base's servicemen and servicewomen are spending their money and helping out the area businesses. Mama Louisa's Italian American Cuisine was placed strategically on Craycroft, if you believe the rumors. According to Mama Louisa's current owner and chef, Michael Elefante, its original owners said when they heard D-M's main gate was being built on Craycroft and Golf Links, they decided it was prime real estate to build their establishment in 1956. It's proven fruitful ever since. "61 years, that's a long time in any kind of industry, especially the restaurant industry," Elefante said. The airmen take care of him and he takes care of the airmen. "That's always what I've been raised on," he said. "Making sure we show appreciation for the military. That's one of the things I take pride in." In fact, the six military bases and operations are believed to take care of tons of local businesses in southern Arizona. Southern Arizona's military installations saw significant growth in economic output and an increasingly significant role in Arizona's economy, according to a news release touting the study commissioned by Gov. Doug Ducey. "With a combined economic output of more than $7.99 billion, southern Arizona's six military operations comprise 70 percent of the statewide total military economic impact of $11.46 billion. That total makes the military the state's second-highest sector behind distribution and electronic commerce," the news release stated. Arizona's military installations employ more than 76,000 people, according to the Maguire Company report which used data from 2014. "I don't think it would surprise most people," said Bryan Foulk, President of the DM50 organization, when talking about the high employment numbers. What's different about this study, though, is the way its data was measured. According to Foulk, the old reports didn't evaluate military operations the way they do a typical business. "For instance, when Raytheon has their economic report, they have multipliers for things like when people visit and all this other stuff," he said. "They don't have that with the old D-M report with the military. "So when the Governor's office contracted it out, what they found is let's put the multipliers in like we do for every other business in the state - and boom, we went from $1.5 billion to $2.6 billion economic impact, just D-M alone in the Tucson area." The news release stated that if you look at direct employment workforce, Fort Huachuca is the state's eighth-largest employer and Davis-Monthan is ninth. "Without the base, you would have real estate prices d ropping," he said. "You would have everything just going in the wrong direction." Mama Louisa's Restaurant is included. "I'm not saying we'd be out, but we'd be in trouble," Elefante said. "It would be a significant impact on this area." MOBILE USERS: Download our Tucson News Now app for Apple and Android devices. Copyright 2017 Tucson News Now. All rights reserved.